If you're longing for a musical that provides the whole package (great acting, terrific singing and outstanding dancing) then the Top Hat UK tour is not to be missed. Although when I booked my seats (and ended up in the front row thanks to the Marlowe Theatre's discovery ticket scheme) I was really only looking for a way to fill a couple of spare evenings which I'd otherwise have spent refreshing twitter all night and trying (and probably failing) to resist the call of Dominos, Top Hat completely blew me away and I would say that it is currently one of the most enjoyable shows I've seen this year! Following the classic tale of mistaken identity seen in the 1935 RKO picture of the same name which starred Fred Astaire and Ginger Rodgers, Top Hat's UK Tour is filled with enough hilarity, glitz and glamour to keep you thoroughly entertained throughout. The cast are all hugely energetic, but special mention must go to Alan Burkitt, who stars as Jerry Travers. The charismatic Burkitt's broad smile is infectious, his facial and physical Astaireisms are incredible and his dancing seemed effortless! He stars opposite Charlotte Gooch as Dale Tremont. The pair have incredible chemistry, and their showstopping duet 'Cheek To Cheek' is a standout performance in a show which brims with showstopping numbers! In fact, the dancing in Top Hat is first rate all round. My personal favourite song, 'Puttin' on the ritz' featured flawlessly synchronized tapping (I'm a total tapoholic to this show was a dream come true all round) and irresistibly catchy lyrics that'll definitely have you tapping your toes in your seat. Meanwhile, in act 2 'The Piccolino' was an atmospheric and entertaining number that had me wishing I'd not given up my dance lessons so early. The entire cast are fully committed and incredibly talented. Not to mention the rich orchestra, which provide gloriously jaunty music throughout. Top Hat's tour also features an incredibly elaborate set and possibly some of the most beautiful costumes I have ever seen. In fact, attention to detail is what really sets this tour apart from some of the others which I've seen this year. While I mentioned that Jersey Boys and Shrek, although wonderful, felt stripped back (as is the case with many tours, understandably), when watching Top Hat you could easily believe that you'd been transported to the West End! 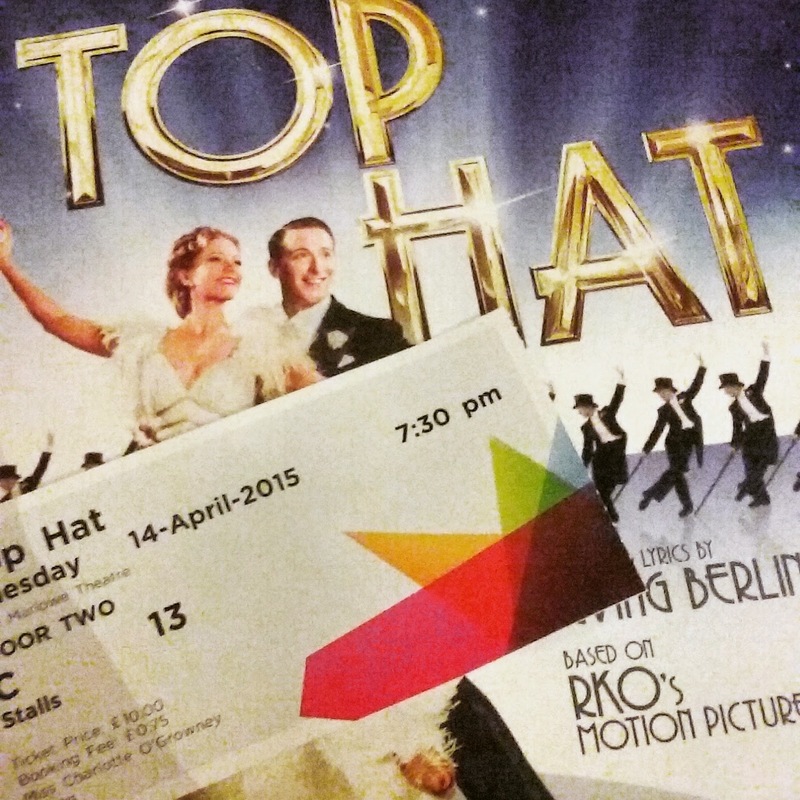 I very rarely return to shows multiple times (with exceptions made for my absolute favourite shows), but I can honestly say that if I had not already booked my train home, I would have seen Top Hat again the very next day without hesitation. If you're longing to be dazzled in the theatre this year, then look no further than Top Hat, which is touring the UK until 25th July.